Maximize job site performance, efficiency, and productivity. Goodfellow Brothers reduced idle time through idle monitoring and operator coaching. Power Corporation of America saw cost and time savings, plus increased vehicle uptime through proactive maintenance. 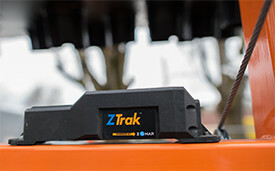 The most versatile mobile telematics device in the transportation industry. 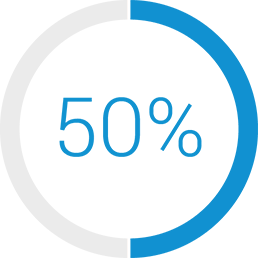 Discover how Zonar can improve your construction fleet operations. Timely maintenance greatly extends the life of your heavy equipment and keeps your projects on schedule. 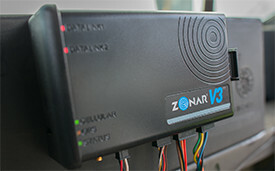 Zonar’s remote fault code diagnostics and electronic vehicle inspection reporting (EVIR) help you ensure equipment inspection compliance and schedule maintenance immediately if a problem arises. You’ve invested significant money in your fleet. Zonar can help you ensure that you are using each vehicle and asset for the fullest ROI through proactive maintenance and location-based reports. Automated equipment defect reporting speeds repairs for fewer in-yard delays, while accurate GPS tracking helps recover misplaced or stolen assets. Reduce Fuel and Tax Exposure. Zonar’s detailed fuel consumption data, working and non-working idle time reports, and alerts for excessive idling help reduce fuel costs by combining vehicle operation and HD-GPS location data to ensure fuel is used only when it needs to be. In addition, tracking on-road versus off-road fuel use helps save you taxes and expedites audits. Reduce Waste in the Field. We know the economy is lean and you’ve tightened your belt. Unparalleled visibility into your fleet’s operation helps you uncover hidden cost-drains for new savings. 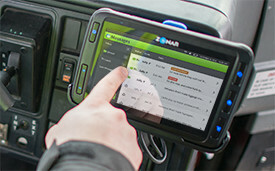 Zonar’s technology identifies fuel savings opportunities, increases field productivity, ensures safety and compliance, streamlines maintenance and analyzes performance data. It’s more than just operational efficiencies. 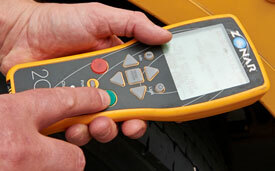 The unique driver inspection capabilities allows us to focus and improve on equipment safety. Coupled with the transparency we can offer our customers and to regulatory agencies, demonstrates that we don’t just talk about safety, we live it in everything we do. John Stump, equipment department manager, Goodfellow Brothers, Inc.